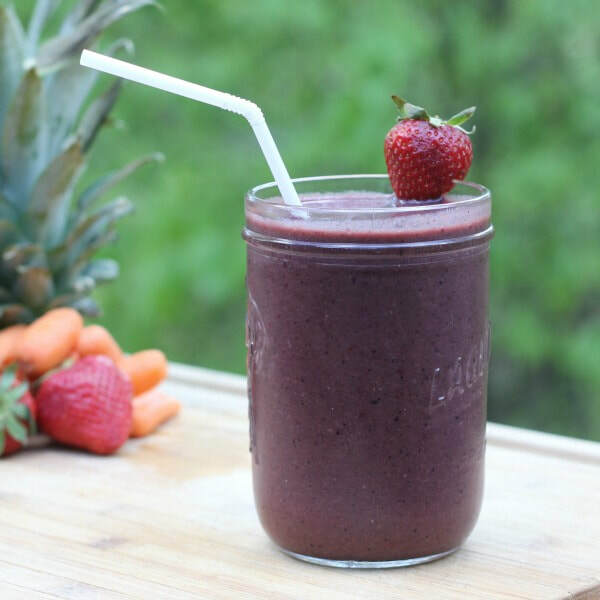 Smoothies are a GREAT way to sneak veggies into your kids' diets. Want other ideas for smoothies with vegetables? Try our Mango Green Smoothie, or Pumpkin Smoothie recipes, or check out these tips for layering a great smoothie using your favorite ingredients. Divide shake between 2 glasses and serve immediately. Notes: Feel free to use low fat, fat free, almond or coconut milk instead of water. *Nutrition information includes kale and water in analysis.